I was invited to attend a wedding ceremony of one my friend in Camiling, Tarlac this coming Sunday. And I was wondering about what delicacy Camiling, Tarlac can be offer for me. I was looking for a good "PASALUBONG" for relative in Metro Manila that makes them feel special once they received and a kind of peasant food that I never tasted before from other towns. Chicharon Camiling is also called as bagnet by nonlocals. 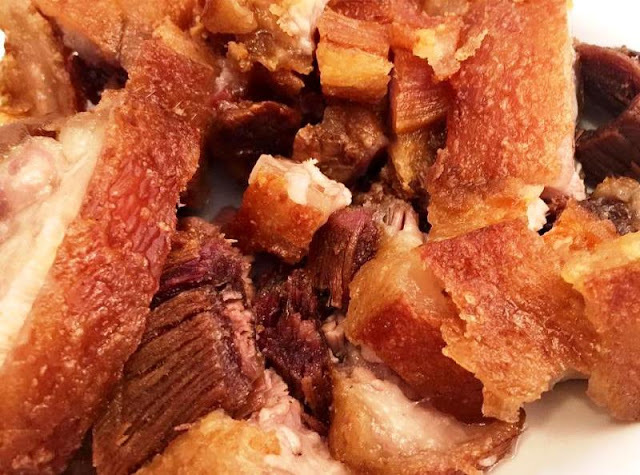 Chicharon Camiling is a stewed pork belly in salt and deep fried till gets a golden brown color. Cut it in thin strips and couple it with a combination of a locally made fish sauce called bagoong(bug-goong), siling labuyo, chopped red onions, green grape algae (arusip) and tomatoes. Spiced vinegar or pork liver sauce is also a good to combined with it. Chicharon Camiling is widely available at the Camiling Public Market. It’s usually found in stalls selling fresh pork. 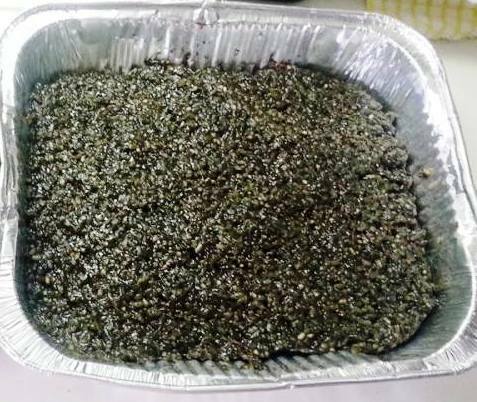 Iniruban or nilubyan is well known native delicacy that originates in the town of Camiling. It is a type of rice cake made with burned young sticky rice (malagkit/dik-kit), coconut milk and sweetener; usually sugar, or hardened sugarcane molasses (tagapulot). 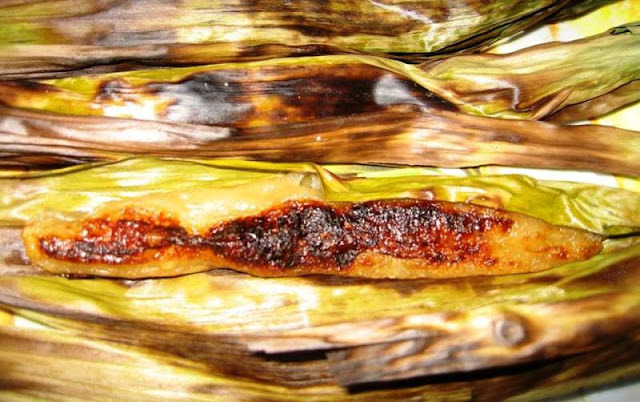 Tupig is a popular native delicacy that commonly sold to travelers as pasulong. It is originated in part of North and Central Luzon and is made out of ground glutinous rice(malagkit/Dik-kit), coconut milk and shredded young coconut wrap in fresh banana leaves and cooked over charcoal. During the old days this tasty treat was served only during Christmas and New Year. 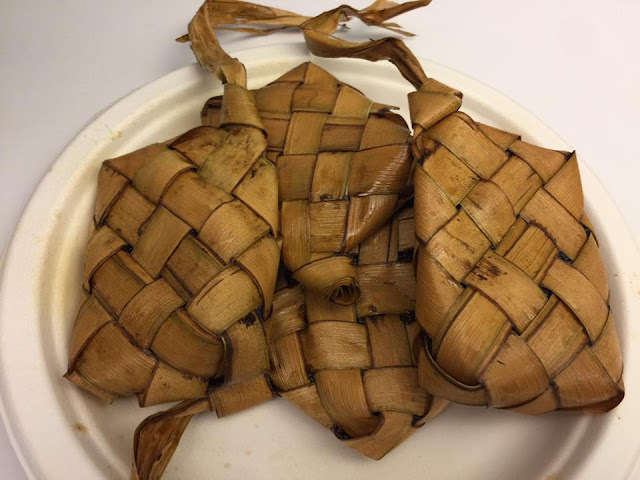 Patupat is a delicacy made from glutinous rice(malagkit/Diket) inside a weaved young buri palm(silag tree) cooked in sugarcane juice. This is a staple Ilocano snack that usually prepared during summertime when sugarcane is abundant. 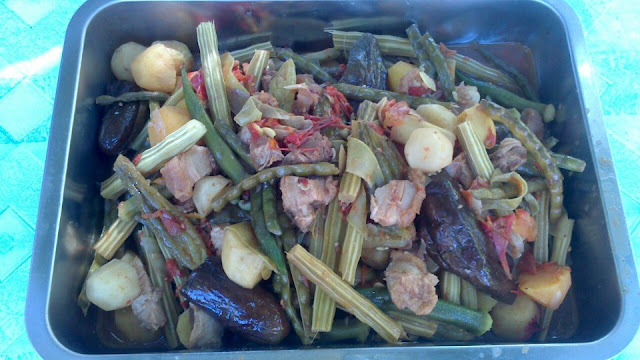 A Camiling version of Pinakbet or Pakbet is a stewed local vegetables such as squash fruit(kalabasa/karabasa), tomato(kamatis), bitter melon(amplaya/parya), eggplant(talong/tarong), okra and string beans(sitaw/utong) with either Chicharon Camiling(bagnet) or grilled or fried fish. 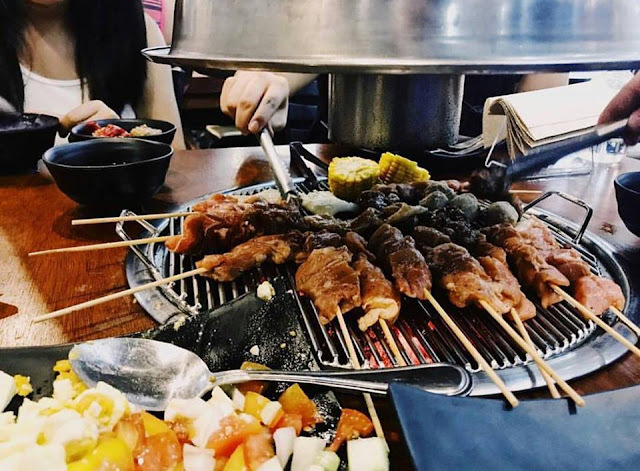 It is usually seasoned with fermented fish extract(bagoong isda/Bug-goong). The taste is good and the dish is truly nutricious. Inabraw is ratatouille version of Ilocanoes and an authentic Filipino cuisine that define Ilocano people. It is a mix boiled vegetable with grilled fish. 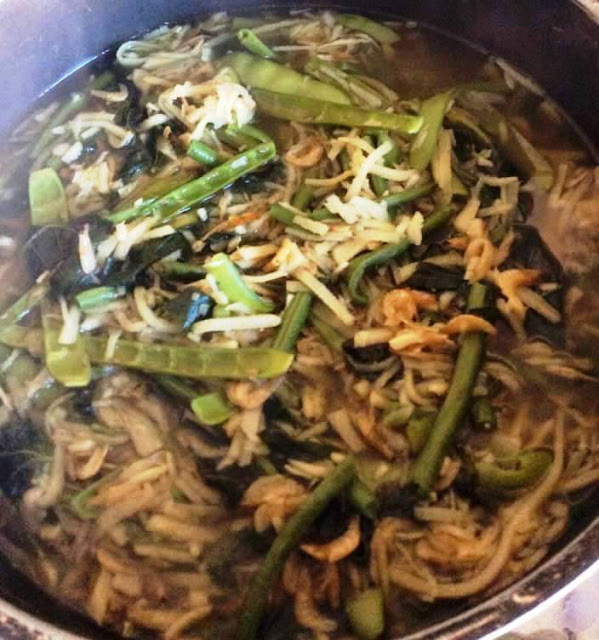 It may contain the following green and leafy local vegetables such as squash flower (Bulaklak ng Kalabasa/Sabong ti Karabasa), jute leaves (saluyot), morinaga (malunggay/marung-gay) leaves and fruit, string beans (sitaw/utong), parda beans, eggplant (talong/tarong), alakon flower, okra, wing beans (sigarillas), bamboo shoot (Labong/Rabong), and more. Inabraw is a combination of at-least 3 to 5 vegetables and seasoned with fermented fish (Bagoong isda/Bug-goong). The grilled fish is topped and cooked with the vegetable to enhance its flavor. Camiling is one of the fastest-growing towns of Tarlac when it comes to income and economy. It is considered as the richest town when it comes to cultural heritage in the entire province. Furthermore, town is dubbed as the "Old Lady in the Northwestern province of Tarlac" because it is one of the oldest municipality created by the Spanish government. 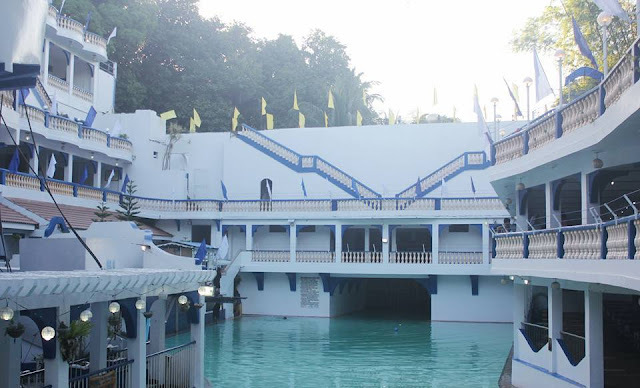 Camiling is composed of 61 Barangays which makes this town a record of most barangays in all of the municipalities of Tarlac. Maria Clara Town Plaza A wide plaza complex that features various sports field, a park, a playground, an auditorium and a wide grassy field. It currently hosts one of the two temporary Camiling Public Markets as it is under construction for the moment. 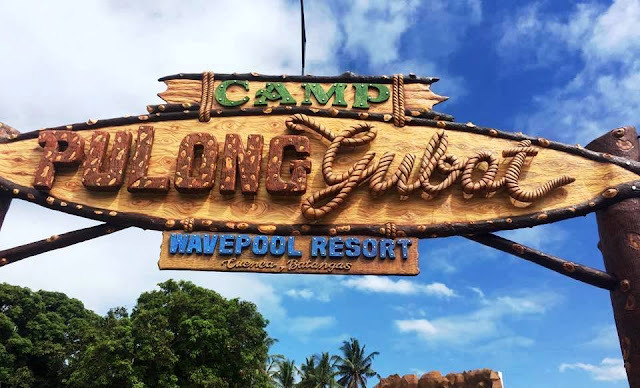 Maria Clara Town Plaza is the second widest park plaza in the province which composed of four hectares of lands suitable for some activities celebrated by the municipality and some schools of Camiling. One of the magnificent wonders of this place are the Acacia trees. The age now are 412 years old(2009) that until now it is strong and standing enormously in the park plaza. People said that these trees were really a rich treasures of the place of Camiling. These shows that the Camilenous had preserve and make their culture and tradition rich. These trees are also older than that of the Bamban Tarlac's Centennial Acacia Tree. Ruin of Old Saint Michael Church. The Old Saint Michael Church burned in 1997. A historical building built around 1700s, was destroyed and rebuilt in 1880s after a surge of major earthquake. The centuries-old Roman Catholic Church and Convent have been declared historical site by National Historical Commission in 1994. The Church was the death place of General Pedro Pedroche and his men in the hands of Francisco Makabulos and high revolutionary troops on orders of General Luna on charges of rebellion. Having served as concrete testimonies to the unfolding of historical drama during the Spanish Revolution before being burned on 1997 that have affected even its constituent Camiling Catholic School. Now their ruins stand and being restored painfully slow. The current church had been transferred to the then Camiling Catholic School's Gymnasium. A new Camiling church is under construction beside the old church at the time being. The old church was planned to be transformed into a museum. This is the first church ever built in the province of Tarlac. What are the hotel in Camiling, Tarlac? There are two choices of Hotel if you decide to stay longer in the town. This are the Hotel Paraiso Sa Camiling and United Royal Hotel and Suites. United Royal Hotel and Suites is located at Luna st. cor. Arellano st., Pob.C, (Beside SAVE MORE SUPERMARKET) Camiling, Tarlac. **SPECIAL PROMO RATES FOR OVERNIGHT ACCOMMODATION. CHECK IN 12PM, CHECK OUT 12PM. What are the means of transportation in Camiling?